Hi Genevieve! Can you tell us a little about your latest book? 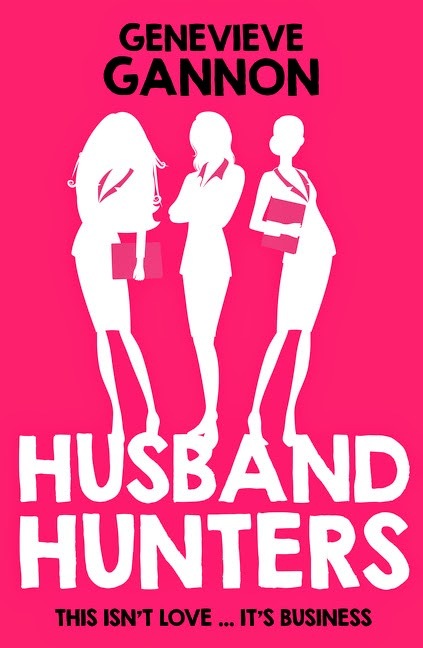 My debut novel, Husband Hunters, is a comedy about three single, successful women who decide to use their professional skills to try and snag husbands. Of course it all goes awry, but it wouldn’t be a comedy if it didn’t! My second, as-yet untitled book will be published in May. When I was working as a journalist in Sydney I wrote an article about the man drought Australia was reportedly in the grips of. One relationship expert I interviewed said women should be more pragmatic about trying to find husbands. I thought this sounded like a great premise for a comedy, from there I started to think about the characters and their jobs and it grew from there. My publisher took care of the cover –I think they did a great job! Clementine Crosley is a clever, sarcastic but slightly controlling red-haired psychologist. I’d love to see Amy Adams bring her to life. Daniela Deluca is a petite but fiery Italian engineer. 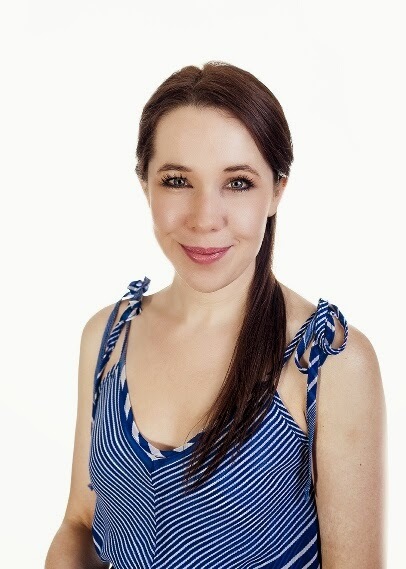 Australian actress Pia Miranda would be perfect in the role. Annabel Summers is a blonde bombshell with brains. There needs to be a real stunner in this role. In a dream world, she would be played by Margot Robbie. My favourite aspect of chick lit is definitely the comedy. My all-time favourite chick lit writer is Helen Fielding. Bridget Jones with a work of genius. I loved reading from a young age. It didn’t take long for me to start experimenting with stories. It sounds like a cliché, but I’d write even if I didn’t have a publisher. I have been attempting to sell manuscripts for years – and was writing for fun long before that, so the fact someone publishes them is just a wonderful, lucky bonus. How did you come up with the character names? Clementine Crosley’s surname is a tribute to writer Sloane Crosley – whose essays I love. Daniela DeLuca needed an Italian name. She was originally Belinda but the shortened version “Bel” was too similar to Annabel – so I had to change it. I actually think Dani works better because she is a boysy engineer and “Danny” could be a boy’s name. Annabel was perfect for a model. It’s a very feminine and girly, like her. Name one of your all-time favourite books. One Day by David Nicholls is a stand-out. Emma Morley is a wonderful modern heroine and Dexter Mayhew is an irresistible anti-hero. It’s sad and funny and a beautiful portrait of friendship and love. Whenever I’m suffering from writers’ block I pick up one of my favourite books and read it for a little while. The book I choose changes depending on what mood I’m in, but enjoying my favourite authors always helps me to focus and remind myself why I spend hours locked away in front of a computer screen. There are a handful of cafes in my home suburb of Brunswick that I love to go to with a pile of pages. I like to proof-read and hand-write notes and scenes over coffee. It is my favourite way to spend a Saturday. What is your favourite movie based on a book? The Virgin Suicides does a beautiful job of capturing Jeffrey Eugenides’ novel of the same name. Eugenides is another of my favourite authors – his sprawling epic Middlesex is a must-read. Ian McEwan and Tim Winton. It’s hard to go past Jane Austen. I want to ask all about her life and the neighbourhood characters who inspired her stories. I’ve just read Gone Girl and have become enamoured with Gillian Flynn. I’m curious to ask her how she crafted the story, if it required a lot of revising and re-writing and ask why she chose to end it the way she did. Tell is a random fact about yourself? Tell us an interesting fact about where you live? Melbourne was almost named Batmania after one of its founders, John Batman. Genevieve apologises unequivocally to any of her fellow students and their parents who tried to bake mince pies using the recipe she wrote when she was 10. But if you’re putting four cups of plain flour and four cups of self-raising flour into pastry that doesn’t call for butter, you’ve only got yourself to blame. 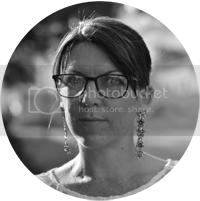 She currently lives in Melbourne where she is a court reporter. At night time she writes romantic comedies. Husband Hunters is her first novel. Readers can sample a few chapters and, if they like the book, buy Husband Hunters here.